Win a FREE copy of Hollow’s Prism: Issue #1 “Aftermath”! That’s right! In honor of our launch in one week on SATURDAY, SEPTEMBER 28, 2013, I am giving away a FREE copy of Hollow’s Prism: Aftermath! How do you win this free copy you ask? Just comment below that you’d like to be entered. On the day of the launch, I’ll pick a winner at random and announce that they’ve won! So just comment below and best of luck! You have until noon on the 28th to enter! Well you’ve been entered to win a free copy! Best of luck! And thanks for commenting and following my blog! Ooh! Ooh! Me me me! You are entered! Best of luck! A signed Yeich-Koth Teves 1st issue – put me in!!! i just love your posts, christa. you’ve done a great job with this website, your subjects are interesting and varied, and your work is wonderful. Consider this my entry 😀 Although I hope it’s not a problem that I live in New Zealand? This is rather exciting! Not a problem at all! Best of luck!! I read the first Hollow comic… and I’m looking forward for Aftermath !! Oh my, I would like a copy. I would very much like one! « Mark your calendars! 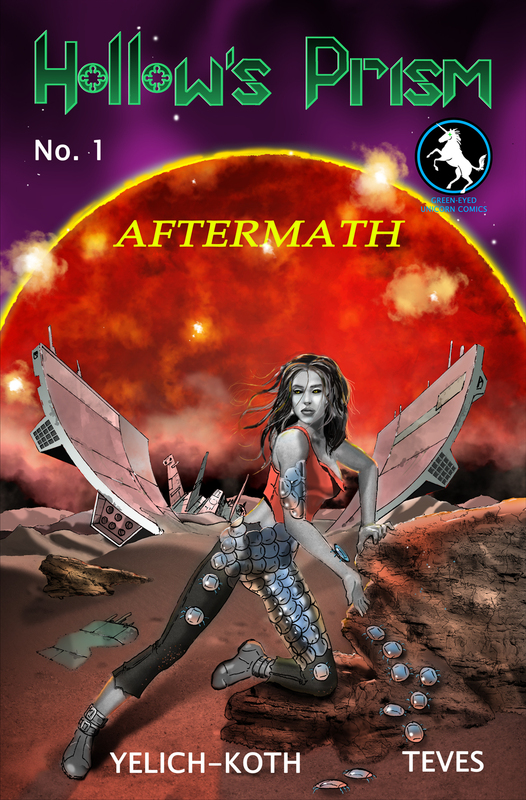 HOLLOW’S PRISM: Aftermath will be launched SEPTEMBER 28, 2013! !